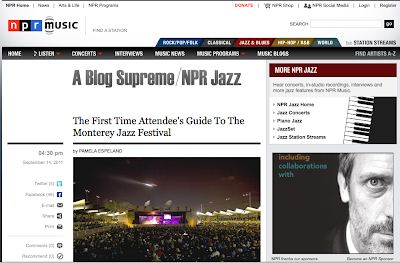 HH and I are in Cali for the 54th Annual Monterey Jazz Festival, one of the world's great jazz gatherings. He's shooting and I'm writing for NPR's A Blog Supreme. Here's my first assignment.